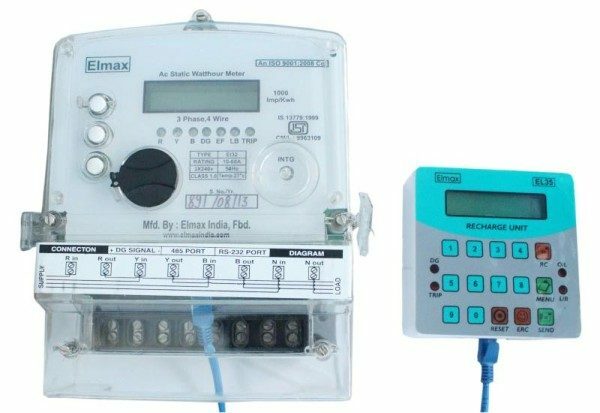 Pay and use may become the maxim in the power supply sector too. Just like your mobile or DTH very soon your HESCOM electricity meter will also be prepaid. You will use how much you recharge. HESCOM from the next week will install these prepaid meters in select areas on a pilot basis. At present, even when consumers are not using electricity, they end up paying maintenance charges via postpaid meters. Once prepaid meters are installed, residents can buy power when required and needn’t pay maintenance fee. The proposed system will help solve problems of power pilferage, meter tampering, revenue leakage and will help manage peak- hour crisis. Sanctioned load in some cases is different from actual usage. Even the problem of tampered metres can be tackled through prepaid meters. HESCOM will implement this pilot scheme in 2 sections in the city in areas like Tilakwadi, M G Colony, Mandoli Road to consumers who have taken temporary connections. The prepaid meters can be recharged with any amount and it will work just as your mobile or DTH, your power supply will be cut as soon as your recharge reaches zero.